Urmi Kothari‘s journey from an MBA graduate to a professional Performing Artist to an alternative fitness professional and to the founder of Kinetic Living was covered in Chitralekha Magazine in Feb 2015. 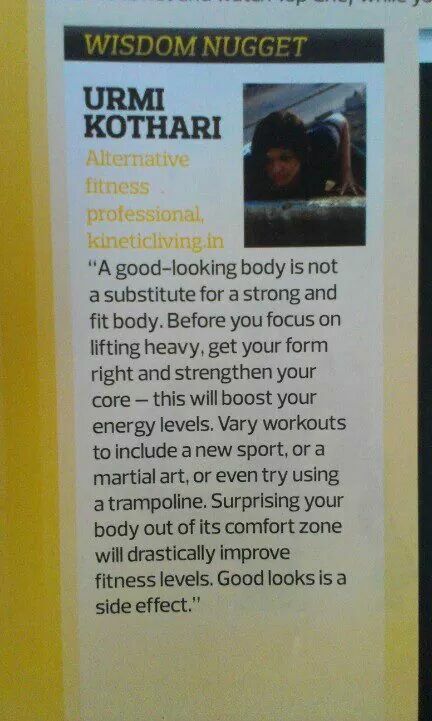 Urmi Kothari was quoted in Stuff Magazineon fitness tips. Believing it and Achieving it are great motivating words…but health and especially movement is all about doing. So its safe to say that believing it can drive you to DO it and thus achieve it. 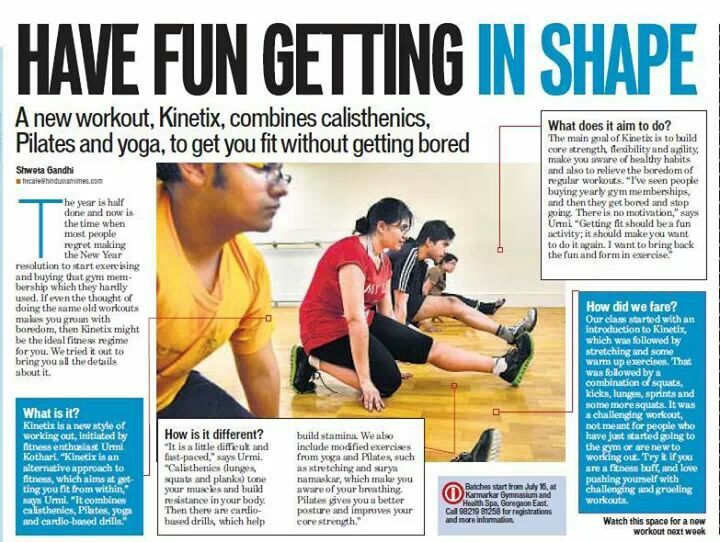 I am happy to share with you that a brief story about the person behind Kinetic Living has been featured in Magna Publication’s Health & Nutrition Magazine (October Issue) in the Extreme Fitness Section.